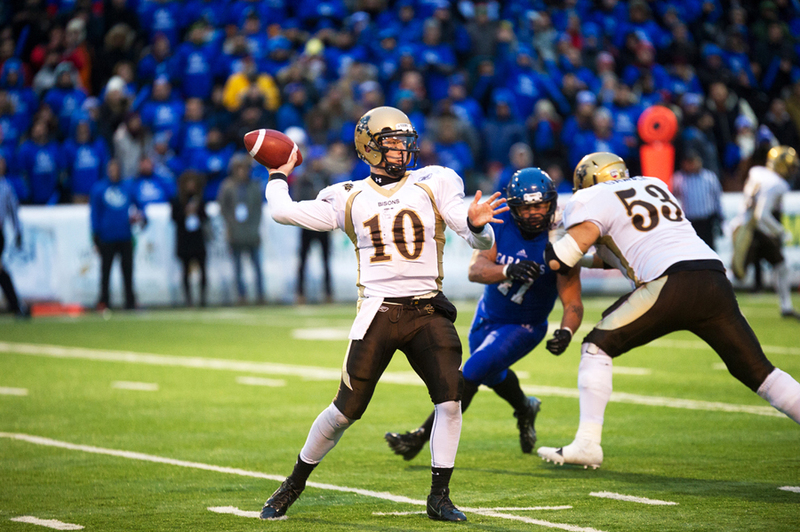 The future looks very bright for the University of Manitoba Bison football team. On Feb. 3, Bison football head coach Brian Dobie officially introduced six new members to the herd – five local, and one British Columbia product, all of whom were impact players at the high school level. Likely the standout recruit out of all six, Lyles played his high school football in Surrey, B.C., smashing numerous records. While at Lord Tweedsmuir in 2013, he broke the single season rushing record, racking up 2,400 yards on the ground, in just an 11-game season. He also put up 37 total touchdowns in that same year. At 18, Lyles is already built like a truck at six-foot-one and 215 pounds. Depending what happens with starting running back Kienan LaFrance this off-season, Lyles has the chance to step in and make an immediate impact. Standing six-foot-four and a whopping 360 pounds at just age 17, Bredin’s upside is intriguing. He was the Clansmen’s defensive MVP in 2014, recording 40 tackles, and was also an impact player in the U18 Canada Cup this past season. One of his biggest honours was being named to Team Canada for the 2015 International Bowl, which occurred on Jan. 30. The Canadian National Team ended up winning the game over USA, 25-9. Bredin will likely redshirt this season, and will have a year to develop alongside starting defensive tackles David Onyemata and Kent Hicks. 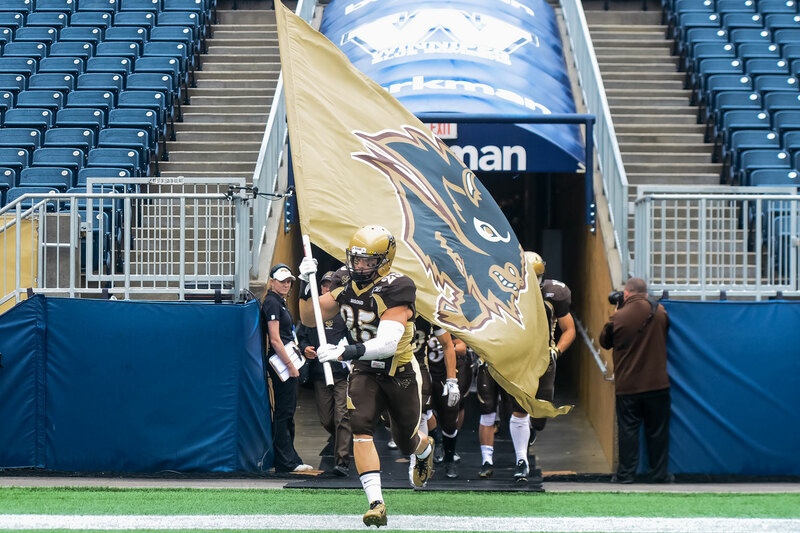 Diakow was under centre for Oak Park in 2014, when they upset a dominant St. Paul’s squad in the ANAVETS Bowl, but will likely make the transition to defensive back for 2015 with the Bisons. Diakow has played every skill position in his time with the Raiders, and has a great football IQ. He was a team captain for the U18 Canada Cup squad this past year, and was also named offensive player of the year in the WHSFL. Diakow will also likely redshirt this season, which will give him a chance to get bigger, and compete for a starting spot in a young Bison secondary. Lazarenko is yet another physical specimen at six-foot-four and 230 pounds. He was dominant off the edge for the Clansmen this past year, tallying 38 tackles, to go with seven sacks, a forced fumble, a fumble recovery, and a blocked kick. With former captain Lauren Kroeker and Tyler Lee both graduated, Lazarenko has one of the best chances out of all six recruits to step in and start immediately. Obijiaku is likely the most intriguing out of all six recruits. Standing at six-foot-three and weighing 201 pounds, he has the size and speed to be a difference-maker at the collegiate level. The former Vikings receiver was a team MVP in 2014 and was also the most outstanding player on offence for the squad in 2013. With Alex Vitt, Dustin Pedersen, and Zach Regert firmly set in starting positions, along with the likes of Trysten Dyce and Ian Lee now having a year of experience, Obijiaku will start towards the bottom of the depth chart; however, he could easily spring past a few of the latter mentioned names with a strong training camp. At just 210 pounds, Sanderson is slightly undersized as he makes the transition to the university level; however, his resume speaks for itself. He was a member of the U18 Canada Cup team this past year, and was a teammate of Bredin’s for the International Bowl. Sanderson was also the Spartan’s MVP this past season, which is impressive considering his position. Given a year to get bigger, Sanderson could easily find himself in solid position on the Bisons’ offensive line.